The spacious leather shoulder bag Abby with a vintage look. This shoulder bag is a perfect combination with a vintage or cool outfit. 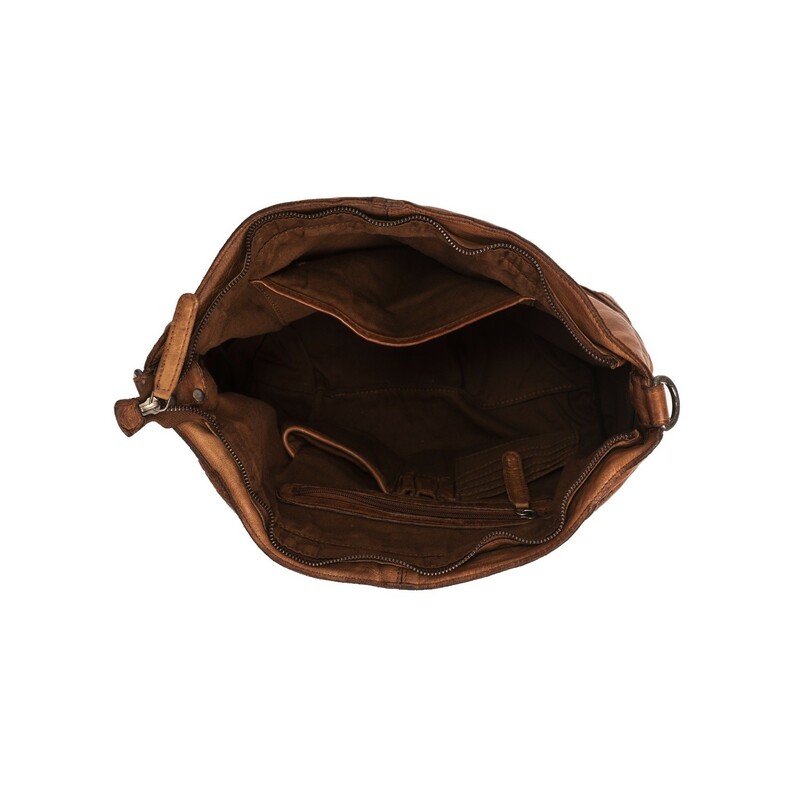 This bag has a spacious main compartment. 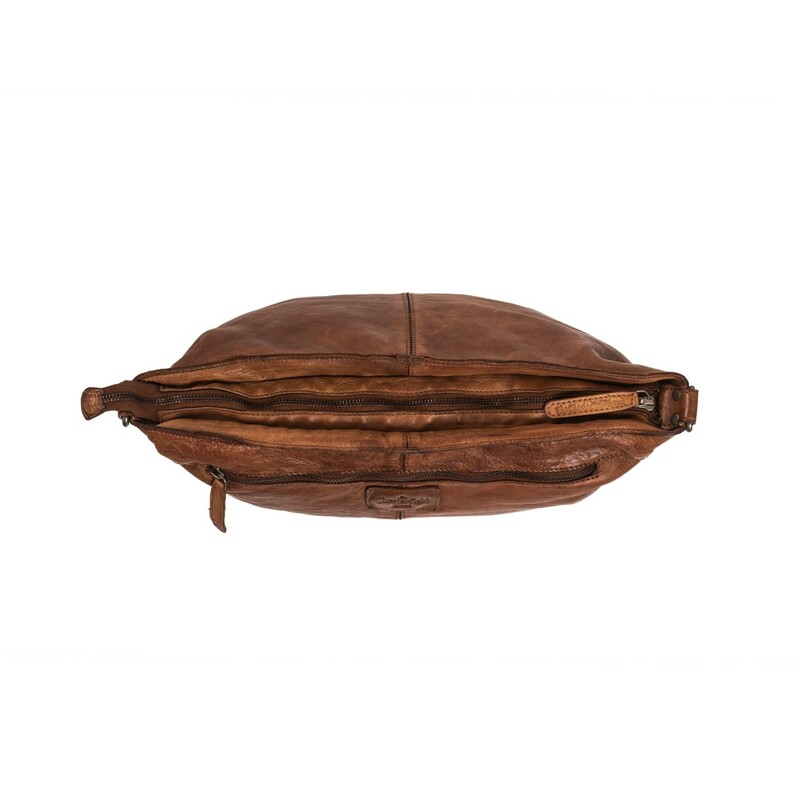 Ideal for storing all your belongings and taking them with you. The inside has a spacious main compartment with an extra zippered storage compartment. 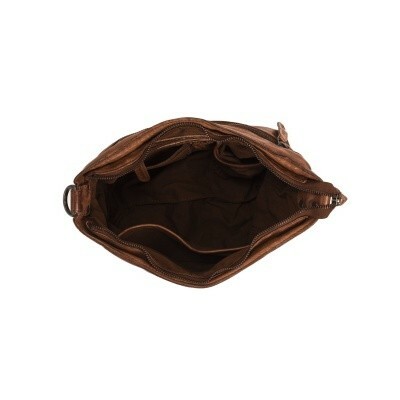 The inside is also equipped with an organizer to neatly store your phone, pens and cards. 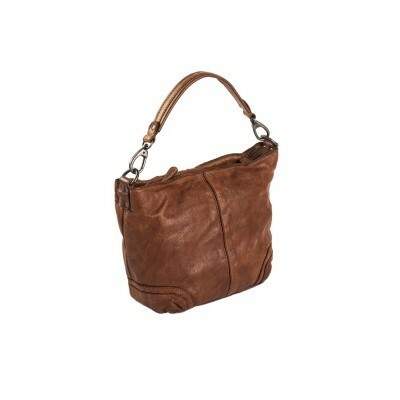 The bag comes with a detachable shoulder strap. 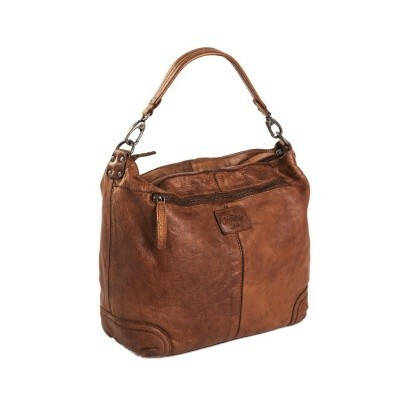 This makes this bag simply a comfortable shoulder bag. Washed polished vintage leather is a unique type of leather. It gives the shoulder bag a real vintage look. The polished finish ensures a slight shine. 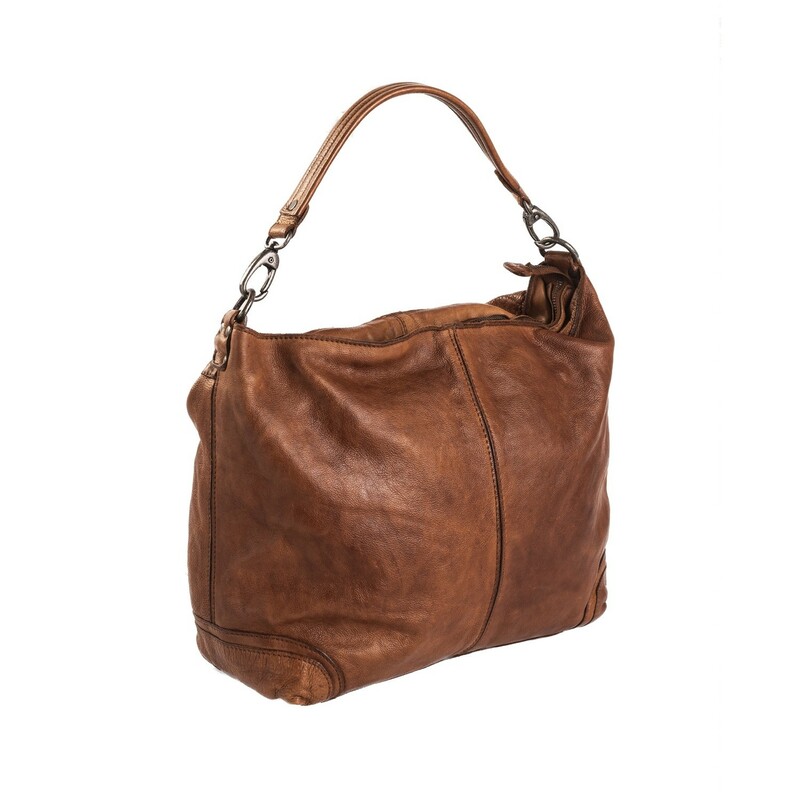 Vintage leather becomes even more beautiful as the bag is used more often. The leather gets more 'character' and the colours become deeper. 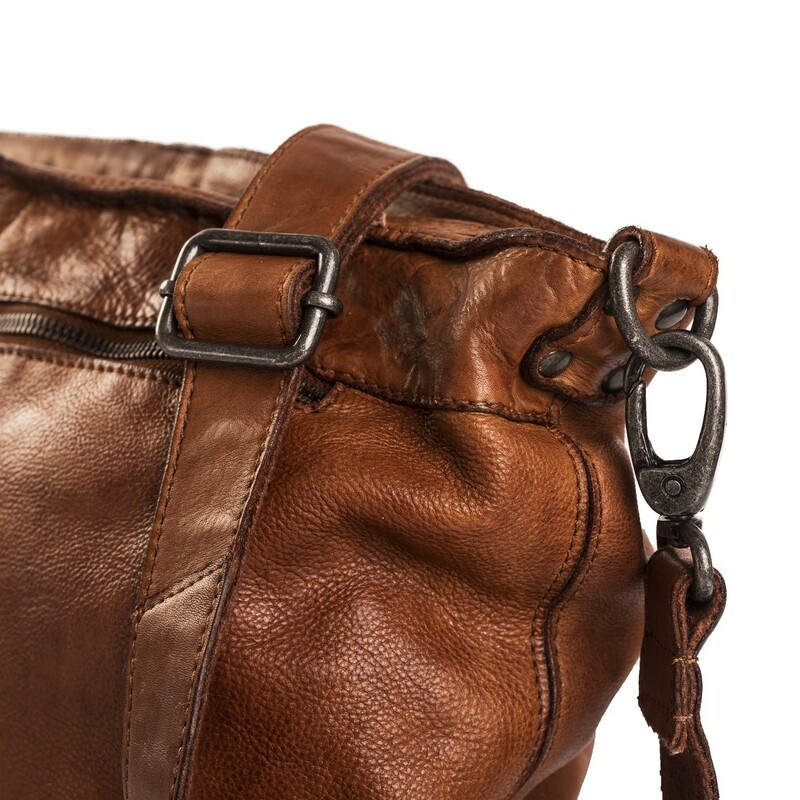 Washed polished vintage leather is durable and requires little maintenance. 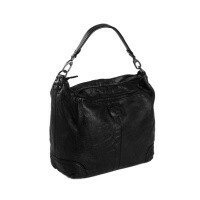 Do you have questions about this shoulder bag? Or one of our products? Feel free to contact us. We are happy to help you!